First part of the revamp in the store today, the transformation is happening over the next few weeks since not everything is here yet but today we’re putting up tin tile wallpaper and painting, painting, painting, painting. 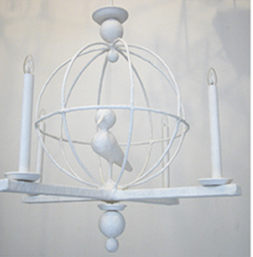 Which reminds me to make way for new stock this quirky bird chandelierÂ is going in our flash sale at a whopping 50% off. Was Â£1,995 now Â£997.50. Cool hey, as always there is only one so its first come first serve (email the store: contact@atelierbypost.com if your interested). Right then whatâs on the agenda today? Well I thought we would discuss something I am yabbering about in the Retail Boot camp class because the very same principles apply for stores as they do for our homes. When you have a store, or an online presence the trick is to create a sense of adventure for your customers, MaryÂ Portas calls its entering the decompression chamber, so the minute you walk thru the door, or you click onto a site something in your brain clicks, your peripheral vision is activated and you’ve entered a different world. This sense of discovery is fundamental in my interiors hence nothing is predictable, things don’t match, and I dabble dabbleÂ dabble with scale, and with colour.Â WithÂ my store and with my home there is so much to take in you can’t quite focus on any one thing – your eyes dart to a cool painting but wait there’s an even cooler jumble of objects on the mantle, or check out those textiles (rugs softly skimming floors, cushions in heaps on sofas) on and on the adventure goes. It’s got nothing to do with money but itâs got everything to do with how it makes you feel. So its all about appealing to the 5 senses and creating an environment that makes you want to linger be that your store or your house. Anthropologie nails it when it comes to creating a cool store experience and to quote them Â ‘we don’t spend money on messages, we invest in execution’. No big advertising budget instead the money goes into the set build and making the store feel and look a certain way. Same with our homes it not about having the latest B&B Italia this or Missoni that – its really got nothing to do with money, people with oodles of cash often have no taste at all, as we all kind of know (Mr Trump)! Our homes should tell a story about who we are and what we like, they should provide an interesting range of ideas. You can’t get the look from one store, whether thatâs a chain like Ikea or aÂ designerÂ like Ralph Lauren. 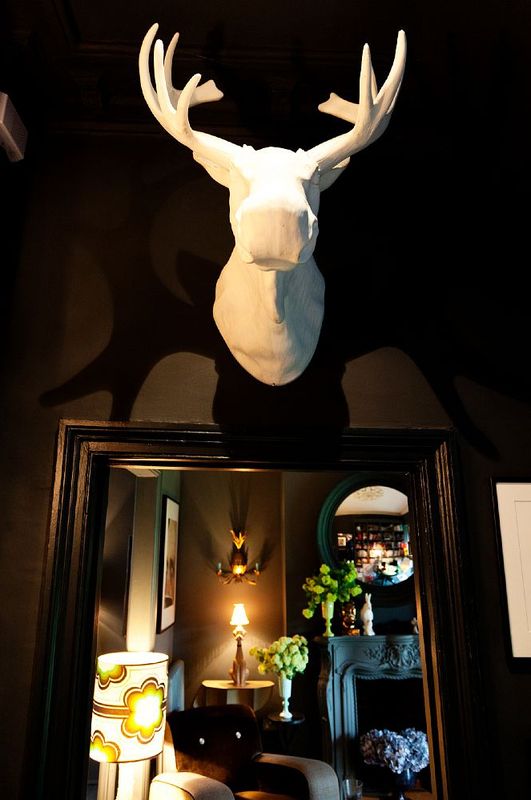 Buy from one store and its two one dimensional dabble with a mixture, high, low, vintage, high street and you will have on your hands a home that tells a story, a story that other people want to listen to and hang out in!